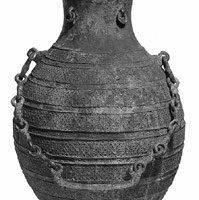 A bronze covered wine vessel, hu, the pear shaped body supported on a circular foot cast in imitation of twisted rope. The vessel itself is cast in four sections. The slightly waisted neck terminates into a flared mouth. 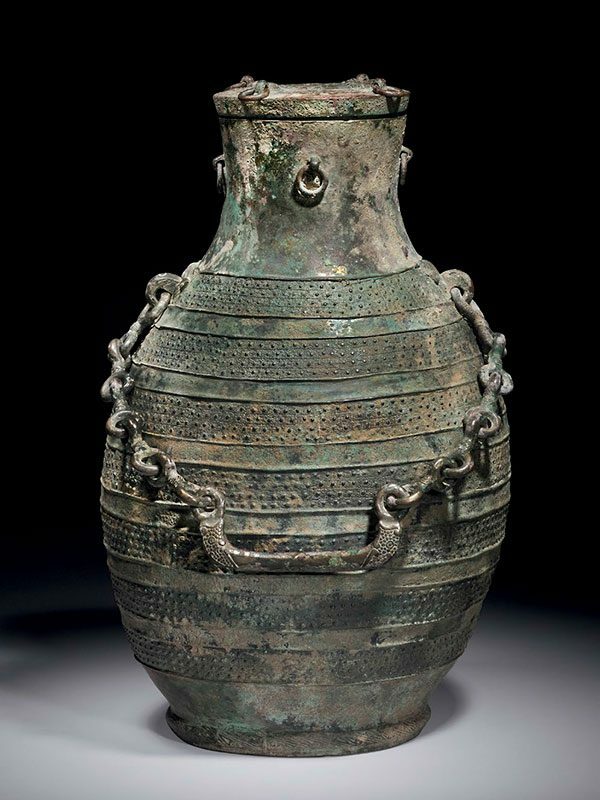 The vessel is decorated with seven bands of low-relief pattern of densely packed meanders and raised dots. In between these bands of low-relief pattern are six plain, concave bands. 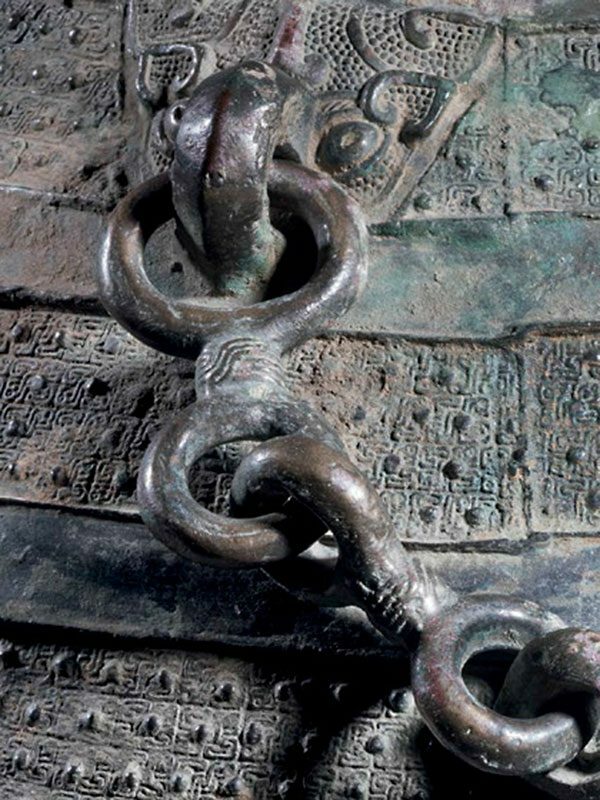 A chain consisting of double-eyed links is joined by a yoke-shaped handle, which has monster mask finials and is attached to two large taotie masks applied just below the neck of the vessel. 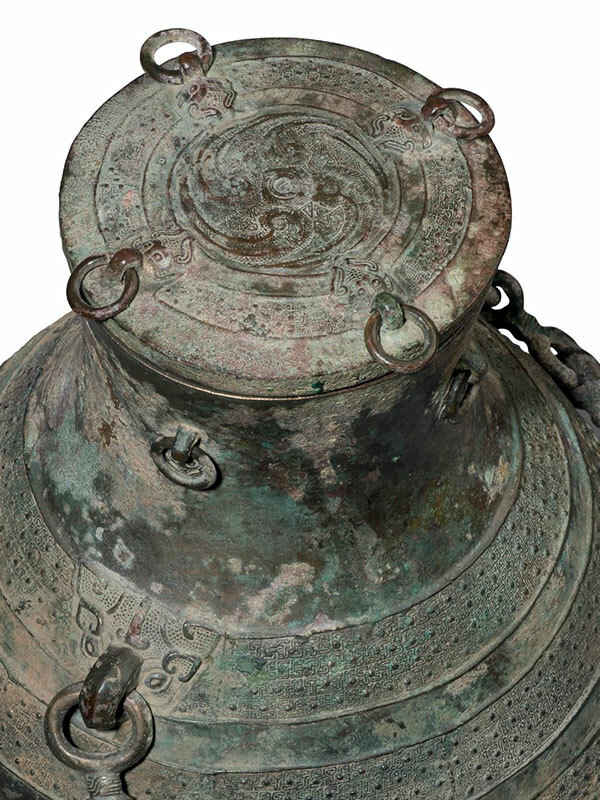 Four tiny ring handles, issuing from taotie masks, are attached to the neck of the vessel. 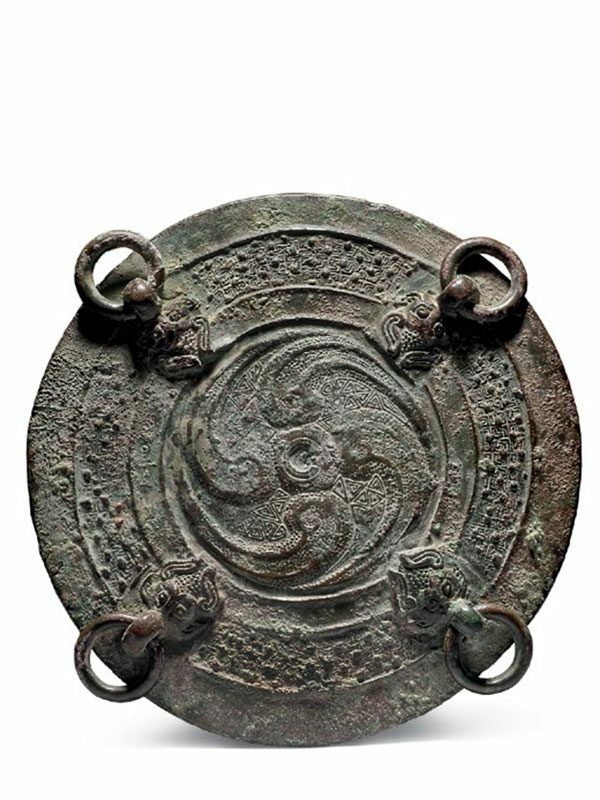 The four rings correspond to four similar rings attached to the cover, which is decorated with a central design of four comma-shapes, surrounded by a repeat of the low-relief pattern found on the vessel. The vessel has a subtle grey-green patina overall.